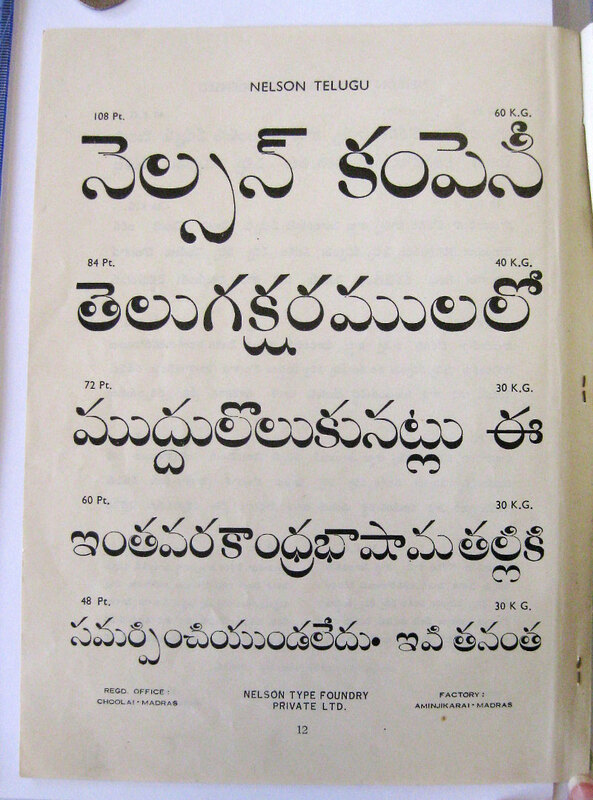 Display sizes of the typeface “Nelson Telugu”, from the Nelson Type Foundry Private Ltd., Madras. A lot of strange things happening here! Check out the loops! Notice also how visible the construction of the typeface is – with the thin white hairlines showing where the top vowel marks have been placed above the base character – and the straight top of the “tick mark” shapes. From the University of Reading collections. Thanks for sharing Telugu related images and your views. do you have Nelson Type Foundry’s full catalogue? If you have can you mail me a scanned copy of it if you don’t mind?